Since announcing his retirement from athletics in 2017, eight-time Olympic champion Usain Bolt has been incredibly open about his dream to make it in professional football. The 32-year-old has tried out with various clubs in Europe but is yet to receive a professional contract. 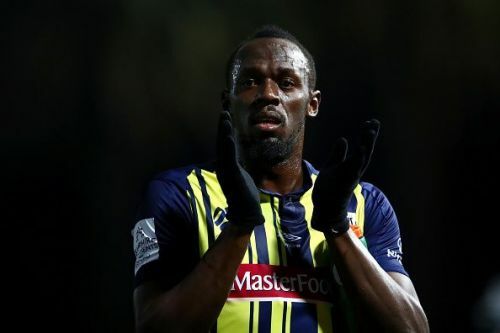 Bolt is currently training with Australian A-League club Central Coast Mariners and made his debut on August 31 where he came on as a substitute winger for 20 minutes. Former Spain and Real Madrid coach Vicente del Bosque has expressed his confidence in the athlete believes that Bolt could make it in football. Del Bosque led Real Madrid to two Champions Leagues and two La Liga titles and also inspired Spain to victory at the 2010 World Cup and the Euro 2012. Speaking to the Olympic Channel, Del Bosque said, "With space, he could be a very good footballer." "It's about doing it many times over and that requires stamina, which I don't know whether he has or not -- although I'm sure he has prepared. Del Bosque also addressed the fact that Bolt is preparing to start his football career at the age of 32, saying, "To start playing professional football at the age of 32 isn't normal." "It's difficult because despite being in peak physical condition, I believe that the technical part is the fundamental part of football. A player's fantastic conditioning -- being fast, agile, powerful -- should support the technical ability." "He will probably learn the tactical side and get to understand the game better both defensively and offensively." Never thought I'd see a World Cup winning coach discussing whether Usain Bolt could be a good full-back. if I was him I'd simply pick up the ball and run with it !!! I believe he shouldn’t play at all. Well he's not gonna get better at any position when he's overseas for a "commercial opportunity". What a farce. 🗣️ 💬 | A huge call from the experienced Spanish coach. Do you think Usain Bolt will make it in football? Let us know in the comments!